We were supposed to grab a coffee from Salcedo Market last weekend only. We ran out of ground coffee and it was one of the best tasting coffee we ever had so far. During weekends we normally wake up late so again we went rushing to the market. When we were about to park Lillie along the road my little boy was filled with excitement as he saw the playground and kept telling me several times of how he wanted to slide when we get there. After we got something to eat for lunch and settled ourselves on the table provided beside the play area my little boy asked permission if he could go ahead and play. Without having second thoughts, I said yes. With happiness on his face he rushed to the playground. Then I saw him having fun and getting accustomed to it. 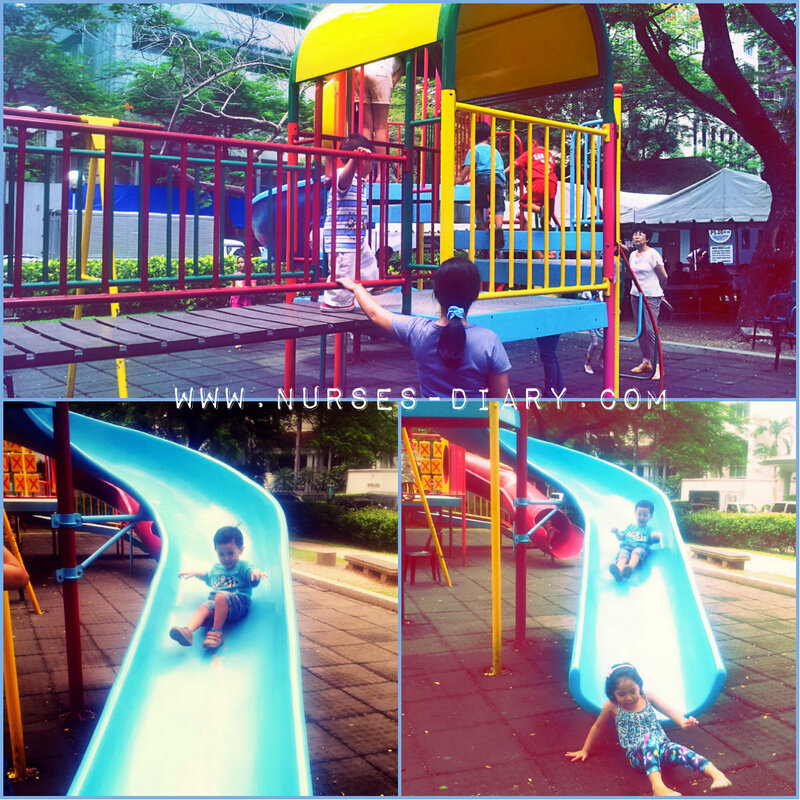 Suddenly he was heading towards the slide and I was a bit apprehensive as the last time we were there he was scared to go down the slide. But all I said was “be careful baby” and he smiled back and went his way down the slide with pleasure. On a second thought, my little boy is slowly overcoming his fears if I let him explore on his own. While I was watching out my little boy J thought of letting my little girl walk on the grass so she can finally practice walking on her own. 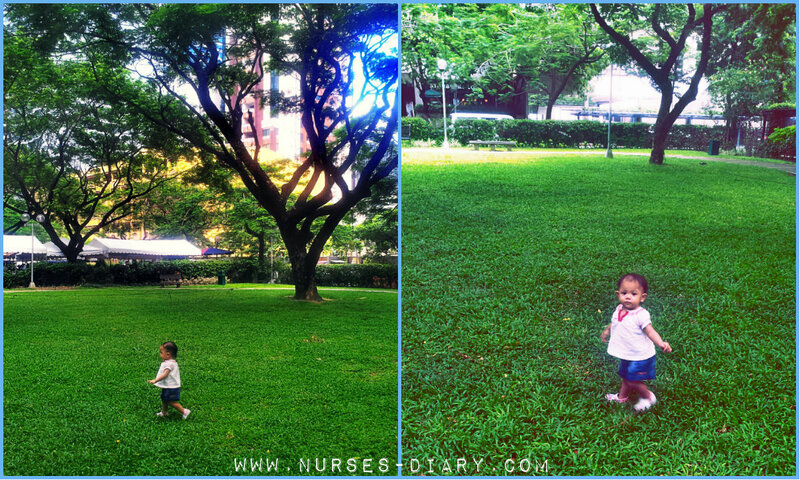 Seeing them from afar I am quite surprised and happy that finally she can walk on her own now. She takes a pause in between to show off her granny dance moves and then she walks at her own pace taking teeny tiny steps. My kids--they’re growing so fast that it feels like a race of time. Last weekend my kids made me realize two things as a parent—trust and support them. We as parents hone our kids into who will they become and we need to trust them to explore their maximum potentials. Supplemented with the trust is our support that whatever they are into they need a little backing up to enhance their confidence. But of course we shouldn’t forget to caution them of the possibilities of every action they will do. I think I have yet to take a lot of courage to finally embrace the thought that my kids are growing and needs us parents to explore their own world. How do you show your support and trust to your kids?